The company of Kivunim was established with the view that culture and recreation are a growing component in the lives of Beer Sheba residents. As a central Israeli metropolis, Kivunim offers Beer Sheba and the entire area a bounty of varied and rich cultural activities alongside popular entertainment for young and adult populations. 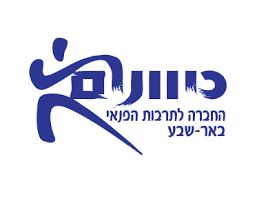 It can be said that Kivunim is actually one of the largest culture production and management companies in Israel. “On the way” Kivunim finds time also to manage the youth, community, sports, immigration and culture departments, as also the performing arts center, the youth center, the department of municipal events, the zoological garden, the Negev art museum, the Negev home for artists, the Ethiopian workshop and more.